Vast swathes of the Bayakas ancestral homelands in the Republic of Congo have been taken over without their consent by loggers and big conservation NGOs. 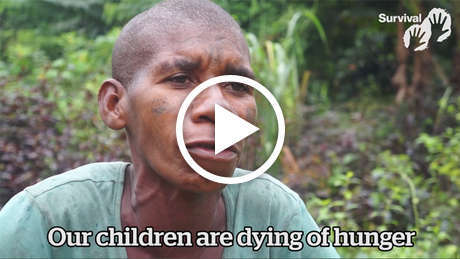 An investigation by Survival International has revealed that the Wildlife Conservation Society (WCS), the parent organization of New York’s Bronx Zoo, is funding the abuse and eviction of Bayaka “Pygmies" and other rainforest tribes in the Republic of Congo. WCS manages and helped create a national park on Bayaka land without the tribe’s consent, and has formed a partnership with two logging companies working on their land. 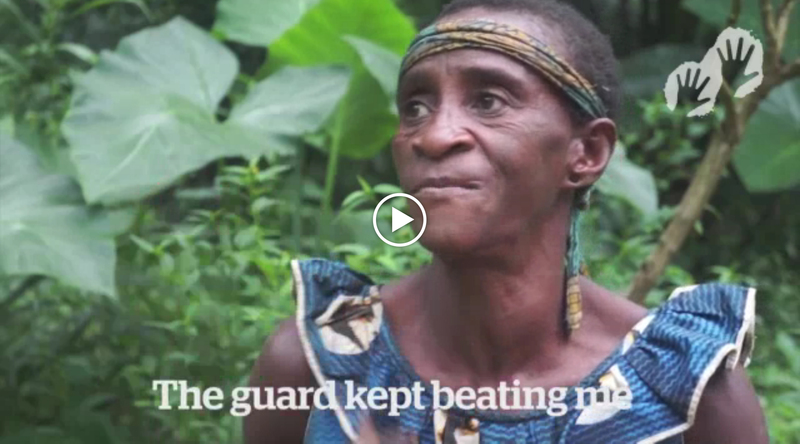 WCS is also funding anti-poaching squads which prevent the Bayaka from entering their ancestral lands, and Survival International has documented dozens of instances of harassment, beatings and even torture. The Bayaka are frequently accused of “poaching” when they they hunt to feed their families. Tribal people have complained that this diverts action away from tackling the true poachers – criminals conspiring with corrupt officials. Big conservation has failed to prevent widespread logging on tribal land, and has actively contributed to serious human rights abuses. Victims have included children, the elderly and disabled people. In 2012, for example, a severely disabled tribal man was assaulted by guards. In May 2016, one man was hospitalized after he and four others were brutally beaten by guards. Forest camps are frequently destroyed, and tribal people are attacked and tortured for accessing land which they have been dependent on and managed for generations. 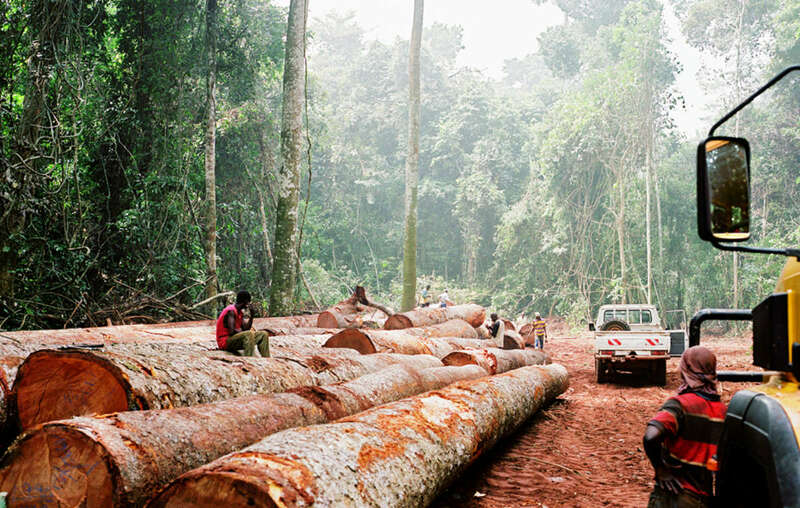 Logging in the region continues at unsustainable levels, according to reports by independent researchers and advocacy groups, including Greenpeace. 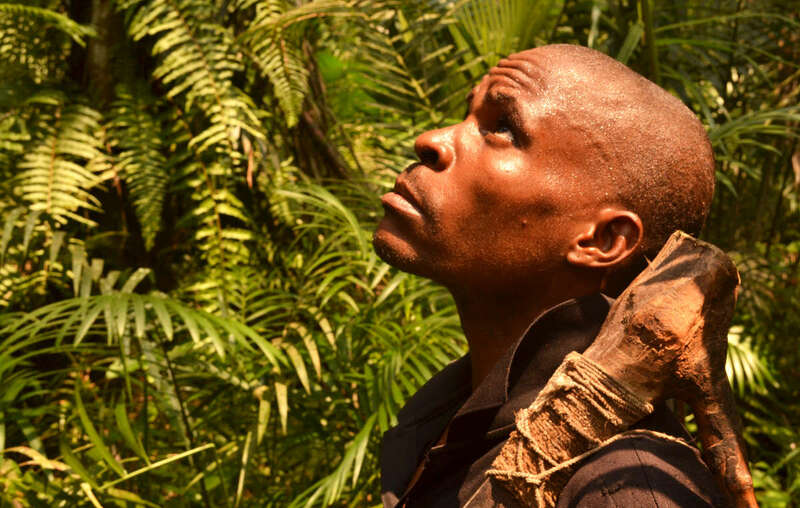 Many observers including the United Nations and Congolese organization l’Observatoire congolais des droits de l’homme, have been warning about the consequences of ecoguard abuse since at least 2004, but no effective action has been taken. Watch: Apfela describes how wildlife guards, supported by the Wildlife Conservation Society, brutally attacked her. 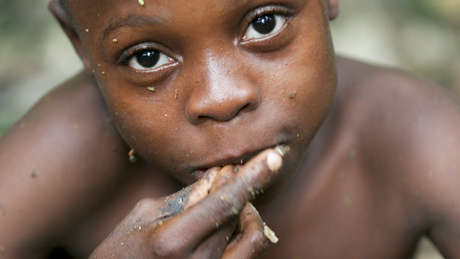 Survival’s Director Stephen Corry said: “Conservation in the Congo Basin is based on land theft. National parks are created on indigenous peoples’ territories without their consent: It’s land-grabbing (with a “green” label) and the big conservation organizations, like WCS, are guilty of supporting it. Survival International is doing all it can to stop this “green colonialism.” It’s time for conservationists to respect land rights, stop stealing tribal peoples’ ancestral homelands, and obtain proper permission for every project they seek to carry out on tribal land." - WCS is one of the world’s oldest conservation organizations, founded in 1895. - WCS backed the creation of Nouabalé-Ndoki National Park in 1993 without the Bayaka’s consent. It manages the park to this day. - The organization runs an annual “Teddy Roosevelt Award” for conservation. In 2017, the award generated controversy when it was presented to Gabon’s president Ali Bongo, who has been widely criticized for his government’s record of human rights abuse. According to some reports, Bongo donated $3.5m in exchange for the award. 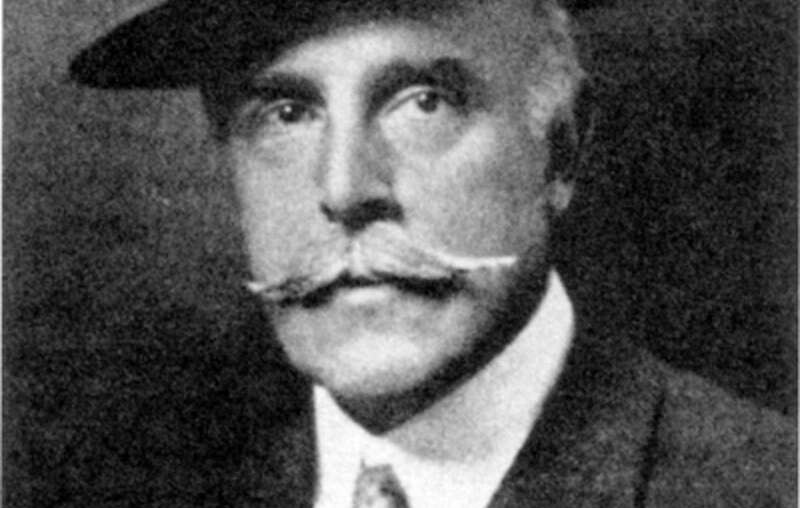 Madison Grant, notorious eugenicist and founder of the organization which would become the Wildlife Conservation Society (WCS). - The Bronx Zoo and the conservation organization that would become WCS were founded by eugenicist author Madison Grant. 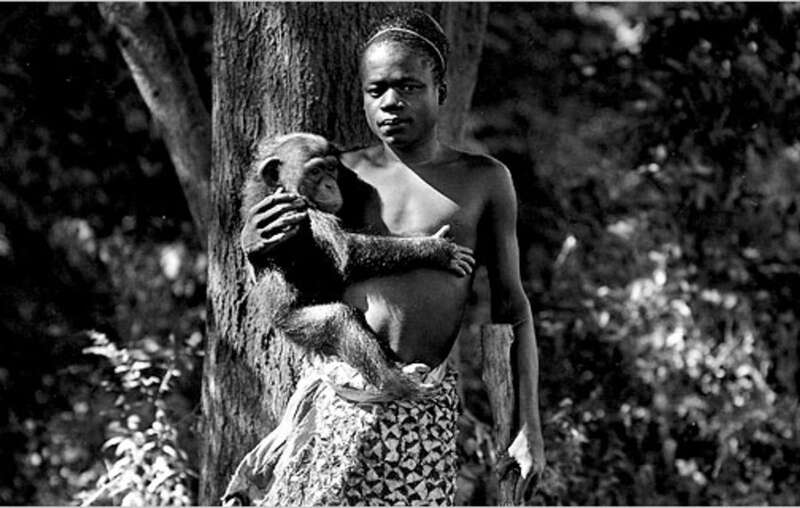 Infamously, they brought a “Pygmy” man, Ota Benga, to the zoo in the early 1900s. He was exhibited to the public, and encouraged to live in the zoo’s monkey house. He committed suicide in 1916. - Bayaka people in the Central African Republic and Republic of Congo wrote open letters to WCS and its funders in 2016. - The abuse of Bayaka by WCS-supported squads has been documented for at least 18 years, but the organization has failed to take effective action to stop it. Ota Benga, a Congolese Pygmy man who was transported to the US and exhibited in zoos, before committing suicide in 1916. WCS is not the only multinational NGO implicated in the abuse of tribal peoples. Many of the big conservation organizations are partnering with industry and tourism and destroying the environment’s best allies. It’s a con. And it’s harming conservation. Survival International is leading the fight against these abuses, for tribes, for nature, for all humanity. Some names have been changed to protect tribal people’s identity.